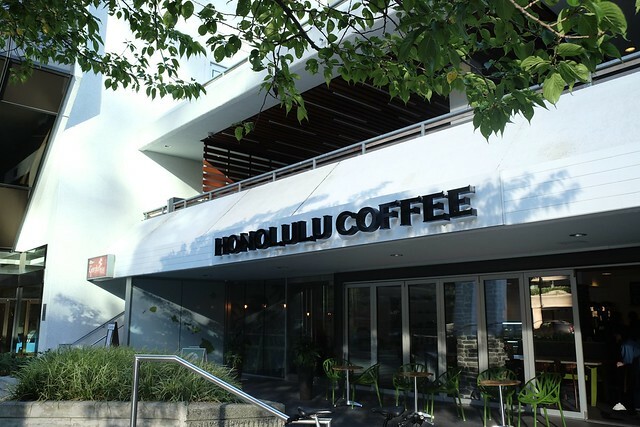 Financial District—Honolulu Coffee opened its first North American location (Hawaii is considered a part of Oceania) in Vancouver taking over the old Relish pub/nightclub next door to Gyu-Kaku Japanese BBQ. Honolulu's other locations outside of Hawaii include Japan, Guam, and China. 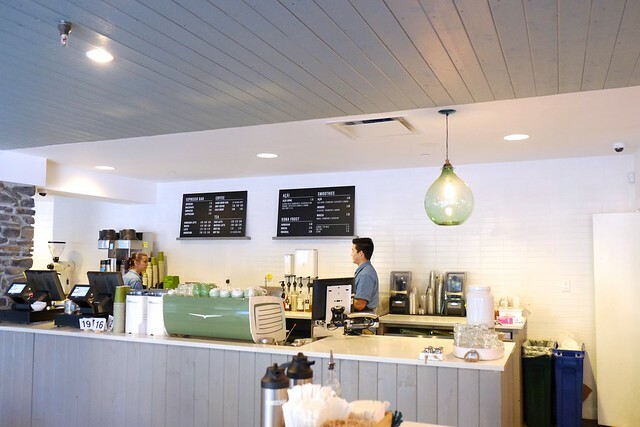 They serve their familiar Kona and Maui coffees with a special menu of drinks with the usual espresso fare. 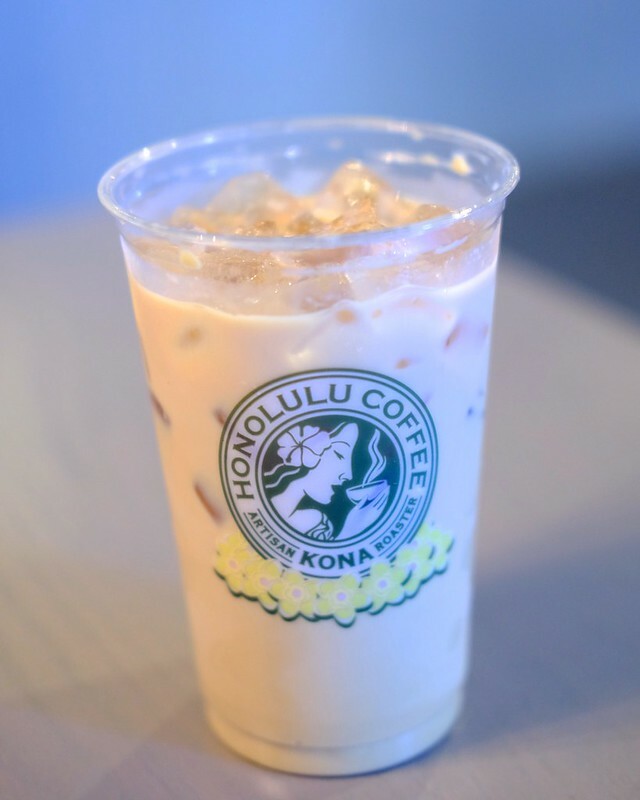 Their signature drink, the Hawaiian latte (iced version, above), is made with their trademark Lokahi espresso, coconut syrup, and macadamia nut syrup (sans whipped cream here). It's a light but refreshing drink with some appealing tropical flavours. 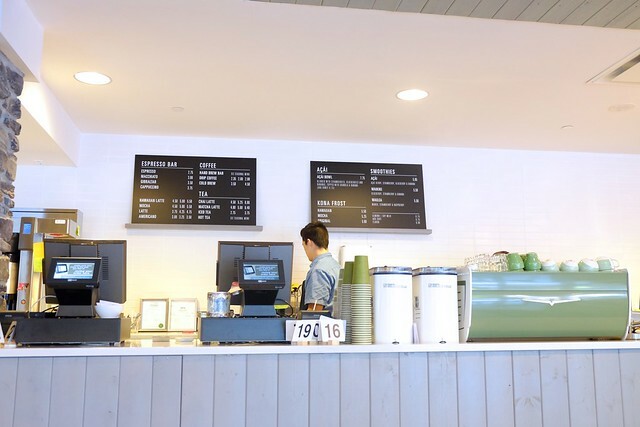 Honolulu Coffee offers a fun, tropical, and international feel to Vancouver's more serious coffee scene with a special but inviting take on coffee needs.